The rural farmhouse with a bloody history that inspired Federico Garcia Lorca ’s seminal tragedy. Built by Dominican friars in the eighteenth century Cortijo del Fraile (the Friar’s Farmhouse) is a traditional Spanish farmhouse with a dark past. 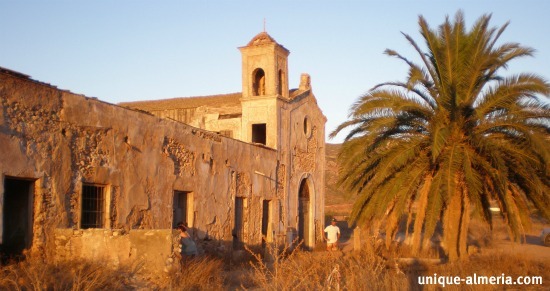 Situated in the Natural Park of Cabo de Gata-Nijar , the once grand estate is now a dilapidated collection of buildings and would probably not draw a second glance had it not been for a real-life story of betrayal and bloody revenge that occurred there in 1928. 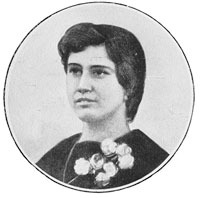 A young woman named Francisca Canada Morales lived on the farm with her father, and eloped with her cousin, Francisco Montes Canada hours before she was due to marry Casimiro, a labourer to whom she was not attracted. The tragic story unfolded a few yards away when the cousin, with whom Francesca had been in love since childhood was shot in the head by the prospective bridegroom’s brother. He had been laying in wait for them at a nearby crossroads. Francisca was severely beaten and left for dead, but survived the ambush. She lived the rest of her life as a recluse, never marrying, and died in 1987. During the 1920s and 30s poet, playwright and theatre director Federico Garcia Lorca enjoyed fame and widespread recognition throughout Spain and abroad. He followed the newspaper stories and kept cuttings about the murder, using the crime of passion as a source of inspiration for one of his most famous and most frequently performed plays. Bodas de Sangre or Wedding of Blood is a chilling and powerful modernist masterpiece that was written in 1932 and first performed in Madrid in 1933. The play is in three acts and the plot describes an arranged marriage between a young and beautiful bride and a shy and undistinguished groom. During the wedding reception the bride runs off with her true love, a handsome young man called Leonardo whom she had been attracted to since the age of 15, but who is now married. The elopement is a source of dishonour and shame for both families and the runaways are hunted down. The pursuit ends in a knife fight between Leonardo and the groom and both are slain, leaving the contested bride covered in their blood. Although Lorca drew much from the real-life events near and around the Cortijo del Fraile he made numerous changes in his work. 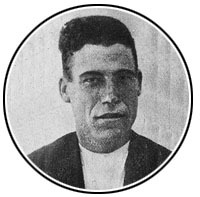 For example, according to newspaper reports of the murder, Francisca had a squint, a limp and prominent teeth, and Casimiro was a rather dull man. Lorca made the bride physically appealing and the groom shy, rather than unexciting. Cortijo del Fraile was originally the centre of a huge farm with olive trees and vines and would have probably managed a few smaller farms in the area as well. 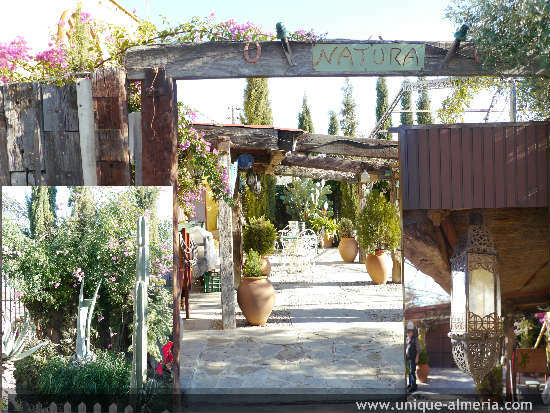 The estate is a typical large scale Andalusian livestock and agricultural farm. There are several buildings constructed around a central courtyard and include ovens, stables, piggeries and the chapel. During the Ecclesiastical Confiscations of Mendizabal (1835-37) when a set of decrees resulted in the capture of monastic properties in Spain, the entire estate was divided and passed into the hands of numerous owners. But they eventually sold it to a bourgeois family. Such is the legend surrounding both the real-life events and Lorca’s play that the cortijo is sought out by people from all over the world. Not only do tourists beat a path to its door, but so do actors, playwrights, painters, producers and other creative types who all want to be inspired by this atmospheric and somewhat mysterious place. What greets them is a rather shabby, but no less fascinating cluster of ruined buildings. Following years of neglect and vandalism the buildings of this once grand farmstead are in a fragile way, the state of decay threatening to bring them crumbling down to the ground. The chapel, where the wedding was due to take place lies open to the elements, window frames are barely propped up by anything more than stones, piles of rubble line its courtyard and the vast majority of the roofs have caved in. Besides its literary interest and grisly past, the cortijo is a wonderful example of rural architecture and many of its splendid architectural details such as the chapel’s belfry (which is leaning precariously to the left), the covered well and funerary crypt with 12 niches can still be seen. 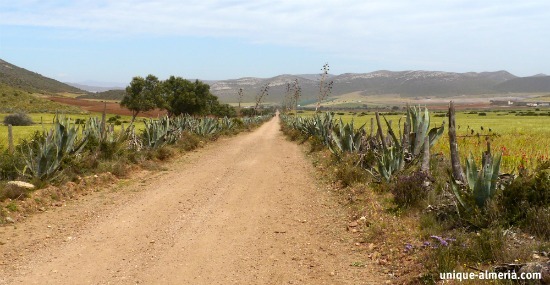 In 2011 the barren farm was declared a site of special cultural interest by the regional government, the Junta de Andalucía. Even so, it is still in a state of disrepair. 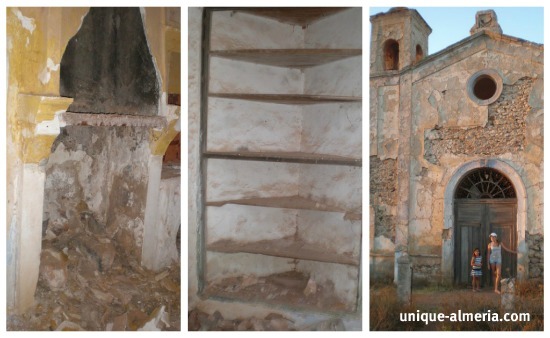 The current owners, a private company, and the local town hall are hoping that the cortijo will be declared public property so that it can be repaired and restored, and ambitious plans for the historic site can be get underway. This includes turning it into a cultural and historical centre. As it happens, we have a friend in Almeria, who is living next to our cottage. During the summer months, she usually listens to the most beautiful songs I have ever heard, songs of her sister Sensi Falán, while working in her garden, so I listen too, thanks to the loud speakers she has installed! From time to time we gather for a private concert with Sensi. I believe my friend's garden is as beautiful due to Sensi's music. They say plants do listen! It is long overdue to present YOU to Sensi, as I have promised to her sister in several occasions. So here it is! Her latest art-work, defending the re-furbishing of Cortijo del Fraile, interpreting a fraction of Federico Garcia Lorca 's Blood Wedding. Enjoy! One of Andalucía’s most iconic buildings is also noted for the part it has played in cinematic history as moviemakers have long been inspired by its charm, architectural beauty and desolate setting. For example, in the 1965 spaghetti western For a Few Dollars More , starring Clint Eastwood, the cortijo courtyard and internal rooms were used as Indio’s Agua Caliente hideout. The following year, in 1966, the exterior of the cortijo appeared as the San Antonio mission in The Good the Bad and the Ugly also starring Clint Eastwood. Other movies that made use of this unique landmark building were the westerns Ace High, starring Eli Wallach, Terence Hill and Bud Spencer and A Bullet For The General aka 'Quien Sabe' which starred Gian Maria Volonte, Lou Castel and Klaus Kinski. The scene below is from that movie, Klaus Kinski is on the roof of the Cortijo dressed as a monk. 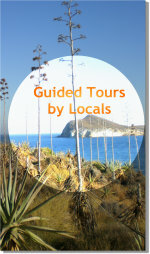 Visiting the cortijo is not difficult. Situated in a bone dry dusty valley the cluster of abandoned buildings can be reached via a bumpy 4 kilometre dirt track from the village of Los Albaricoques. You will eventually come across the farmhouse which you will see on your left. Though now enclosed by a security fence, the echoes of the past, as harsh as the parched landscape exert a powerful hold over the imagination.